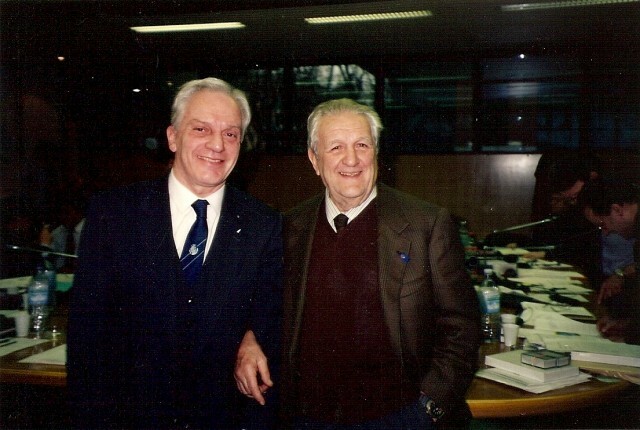 Once again, Luigi Ferraro was involved in the origins of the CMAS - Confédération Mondiale des Activités Subaquatiques. It was in 1952 when Carlo Manstretta, Secretary of the FIPS, supported the institution of the CIPS, which in French stands for Confédération Internationale de la Pèche Sportive and, in accordance with Ferraro, set up a scuba diving sector in which the following countries took part: Italy, of course, then France, Spain, Belgium, Greece, Switzerland and Yugoslavia. Gigi Ferraro is unanimously elected President of the Underwater Section. Even though underwater activities and underwater hunting, in particular, were only at their very beginning, the emerging sport already started to involve many other interests: photography and cinema most of all, biological research on site as, thanks to rebreathers, naturalists were finally able to operate outside laboratories. The same applied to engineers, architects, geologists and chemists, who work together with archaeologists as they research. Because of these reasons, Jacques-Yves Cousteau proposed to go even further than the “pèche sportive" and to set up the CMAS, which in French stands for Confédération Mondiale des Activités Subaquatiques. This proved that many other activities worldwide evolved from spear-fishing. On September 28th 1958, the representatives of sport federations who were members of the CIPS met in Brussels on the occasion of the Conference for the independence of the International Confederation of all underwater disciplines. In accordance with this purpose, the Constituent Assembly of the International Confederation of Underwater Activities, CMAS in brief, met from January 9th to January 11th 1959 in the Principality of Monaco, where Cousteau was the director of the Oceanographic Museum. This Confederation succeeded the "Underwater Sports Committee" of the CIPS and was given specific powers and functions. Cousteau was appointed President and nominated Luigi Ferraro Vice-President. There was a lot to do: firstly they had to draft from scratch all educational programs that would enable the teaching of diving with compressed air across the world and, most of all, how to return to the surface alive. They had to regulate spear- fishing, especially if it was carried out with compressed air cylinders, as there were thousands of scuba divers (the common name currently used for divers and underwater hunters) and they could have caused serious damage to the environment or perpetrated veritable slaughter. Furthermore, it was necessary to ensure that the various countries had the means of defending and protecting their underwater archaeological resources as these could have been easily accessed by any amateur diver. They also had to collaborate closely with medical science so that it could resolve the many mysteries surrounding man's physiology underwater. Today, the CMAS includes federations and associations that operate in the field of diving and organise the relevant diving activities. It went through a difficult financial and organisational stage, which the Italian Achille Ferrero helped to overcome when he became President, by reorganising it in a modern and efficient way. It now comprises 116 members including national federations and affiliate organisations, which represent over 3 million divers. It is recognised by UNESCO, by CIO, by the International Union for the Conservation of Nature (IUCN) and is a member of other important international organisations, such as AGFS and IWGA.